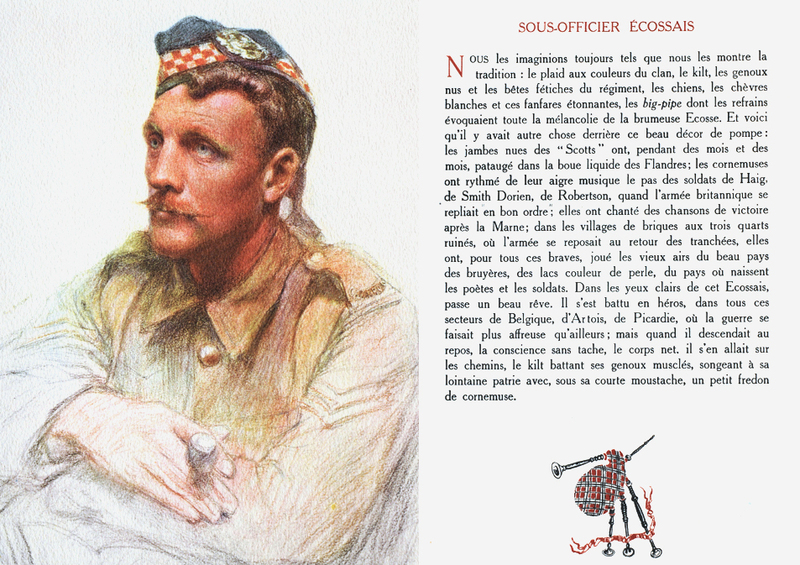 We always imagine them as they are traditionally shown: the clan tartan, the kilt, the bare knees and the regimental mascots, the dogs, the white goats and those amazing fanfares, the bagpipe whose tunes evoke all the melancholy of misty Scotland. And there was something else behind this fine display of pomp: the bare legs of the "Scots" have, month on month, trodden the liquid mud of Flanders; the bagpipes have rendered out the strident rhythm for the marching of the soldiers of Haig, Smith Dorien, and Robertson, when the British army fell back in good order; they sang victory songs after the Marne; in the three quarters ruined brick villages, where the army rested on the way back from the trenches, they had, for all the brave men, played the old airs of the beautiful country of mists, pearl lakes, where poets and soldiers were born. In the clear eyes of this Scotsman, a beautiful dream passes. 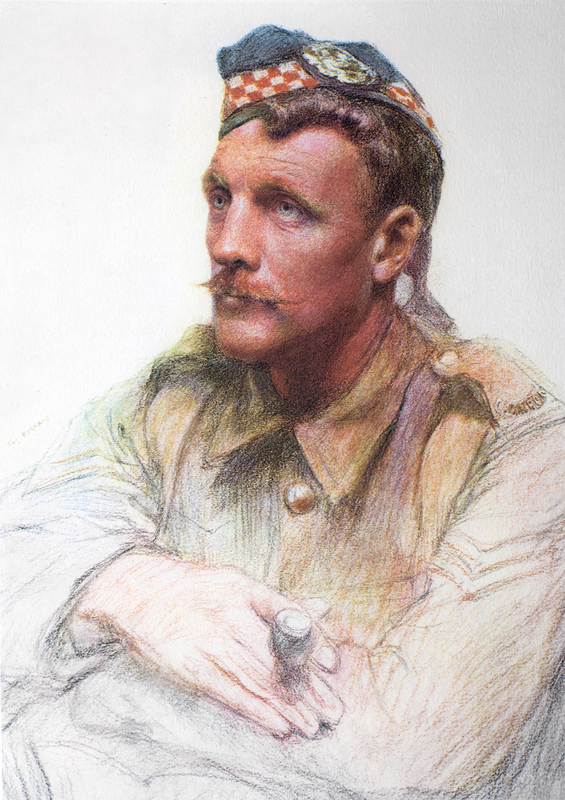 He fought like a hero, in all sectors of Belgium, Artois, Picardy, where the war was more dreadful than elsewhere; but when he was stood down for a rest, conscience clear, body whole, he went along the roads, kilt flapping on muscular knees, thinking of his far off homeland, and under his short moustache, humming a little bagpipe tune.